Raylar's 547cid Big Block Powered Suburban. Raylar develops big block engine packages for GM vehicles. 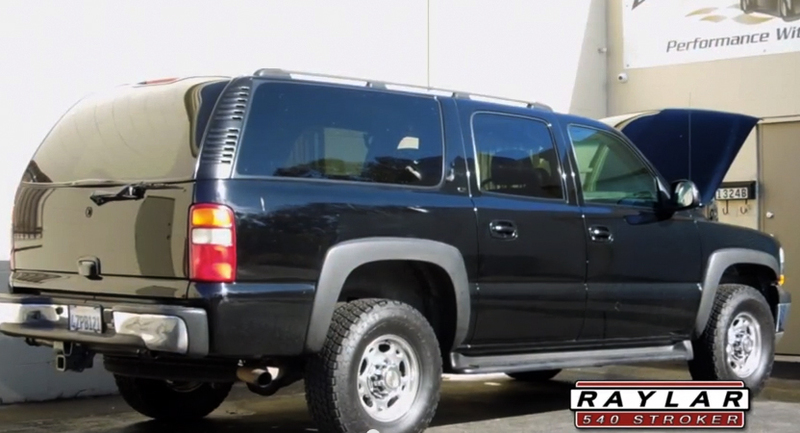 This suburban saw their newest engine combination, a stroker variant of the 8.1L big block. The engine is beng used to demonstrate various power levels as they add parts to the vehicle. We have tuned every step of this build, from the original headers / cammed LQ4 6.0L to it's current state with the cammed 547 engine and iron heads. We'll be seeing this vehicle again soon for a set of ported alumnium heads and an even bigger cam.